House renovated, very quiet, perfect rest, large flat garden, Wifi, reversible air conditioning, wood stove, charcoal grill, dishwasher and washing machine. Baby equipment provided cot and high chair. 2 bedrooms: one with 3 beds of 90 cm and with a bed 140 cm. Living / thigh 50 m2 equipped with a sofa bed 2 places. Focus available on request equipped with a HDMI display. Starting point for hikes in the beautiful valley of the Buèges, including Vareilhes bridge to the nearby village of St Jean de Buèges (back and forth on each side of the river), various excursions and varied. 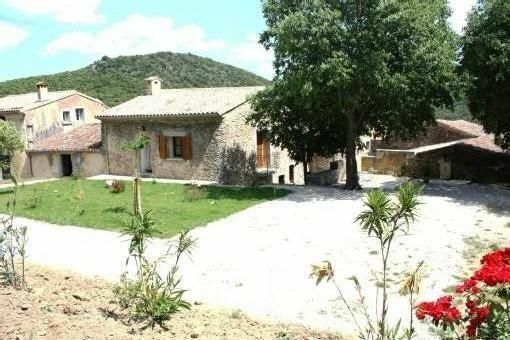 Very close to the Hérault Valley and at the foot of the Cévennes. 1 shower and washbasin 1wc independent.